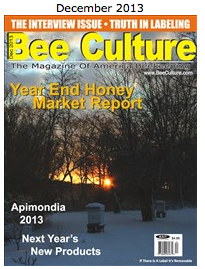 Logged in to my Bee Culture digital subscription and noticed a Share button. Does this work for you? UPDATE: never mind. Julie kindly tested the link and we found out that it's a big ol' "PSYCH!" Bee Culture won't let you see anything of value, which is a shame because there's a semi-interesting article on walk-away splits. Now I know this magazine is run by a handful of people who are essentially beekeepers, not magazine publishers or marketers, but when you do something, you have to do it right or don't bother doing it at all. In today's world of social sharing, the share button is, well, for sharing. Not for generating revenue. If you want to earn subscribers, you have to, well, earn us. Provide something of value. Only giving access to ads is of no value. Well, your link took me to the mag, but I was only able to see a couple pages of ads before I got a message saying that I needed a subscription in order to continue reading. Apologies, @Julie. That was not nice of Bee Culture, now was it? 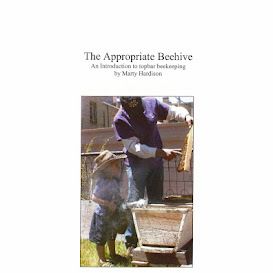 It is ironic that Kim Flottum laments about offers from Bee Culture being seen with suspicion in his opening piece this month. A suspicion deservedly earned IMO.